A change could be afoot with Apple's display technology. If it's iPhone rumours you're after, you're spoilt for choice: you could take in all the ones surrounding the iPhone 7 handsets coming this autumn or turn your attention to the 2017 iPhones due next year, because there's been plenty of speculation about both. The iPhones coming in 2017 might be the 7S and 7S Plus, or Apple might jump all the way to 8 with its naming, but there's been a growing amount of speculation that the handsets are going to have OLED displays (the type favoured by Samsung) when they finally arrive. Two separate reports from Asia say both Samsung and Sharp (owned by Foxconn) are ramping up production of OLED screens ready for next year, which would fit very neatly indeed with Apple's rumoured plans. 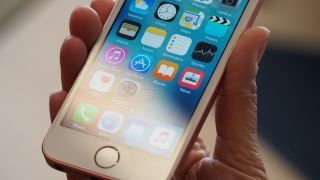 Apple is planning a "partial 2017 release" of a new OLED iPhone, according to the Nikkei Asian Review. OLED (Organic Light-Emitting Diode) screens, known in their most common form as AMOLED displays, differ from the IPS (In-Plane Switching) displays used in the current iPhones in a number of ways, but it's not easy to pick a clear winner in terms of which is the superior technology. Colours are typically brighter and contrast is usually superior with OLED, but IPS screens are traditionally known for being sharper, more natural-looking and cheaper to produce. Nowadays the quality of a smartphone display is usually down to the manufacturer's implementation of the technology rather than the underlying tech itself. If the rumours are true then the next pair of iPhones will be the last to feature an IPS LCD screen before Apple makes the jump to OLED - that would fit with other leaks dripping onto the web that suggest this year's handsets will come with minor upgrades while next year's models are given a more significant revamp.